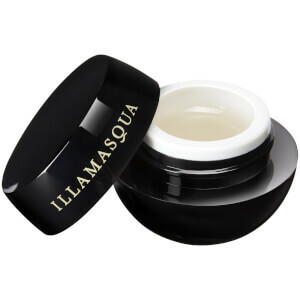 Accentuate your eyes with the Illamasqua Masquara Gain; an innovative mascara to volumize, lengthen and define lashes. Infused with a walnut-derived active that acts as a natural dye extract, the jet black formula tints lashes for ultimate impact and definition, allowing you to experience improved color intensity after just two weeks. Lashes appear bigger, bolder and expertly enhanced. Wiggle the brush towards the base of the lash to create extra volume and comb through to the tips to separate, lengthen and define. Use the tip of the applicator to create supreme definition to the lower lashline. This technique will ensure minimal clumping. Aqua (Water), Paraffin, Acacia Senegal Gum, Synthetic Beeswax, Glyceryl Stearate, Stearic Acid, Butylene Glycol, Palmitic Acid, Oryza Sativa Cera (Oryza Sativa (Rice) Bran Wax), Polybutene, Ozokerite, Vp/Eicosene Copolymer, Hydrogenated Vegetable Oil, Glycerin, Copernicia Cerifera Cera (Copernicia Cerifera (Carnauba) Wax), Aminomethyl Propanol, Helianthus Annuus Seed Oil (Helianthus Annuus (Sunflower) Seed Oil), Phenoxyethanol, Stearyl Stearate, Hydroxyethylcellulose, Disodium Edta, Polyester-11, Ethylhexylglycerin, Juglans Regia Shell Extract (Juglans Regia (Walnut) Shell Extract), Cellulose, Pvp, Trimethylpentanediol/Adipic Acid/Glycerin Crosspolymer, Tocopherol, Acetyl Hexapeptide-1, Dextran. +/- (May Contain): Ci 77266 (Black2)(Nano), Ci 77499 (Iron Oxides), Ci 77007 (Ultramarines)].